Head: UV resin, Head cement or 5min Clear rapid epoxy. Start thread 4-5mm from hook eye. 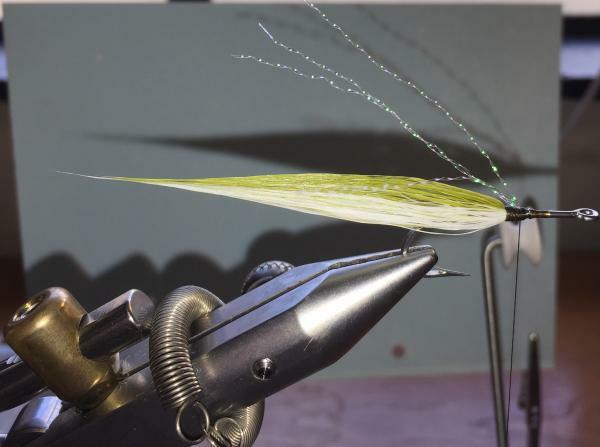 Where the thread start acts as a marker to know where the last tie in point of the bucktail must end. 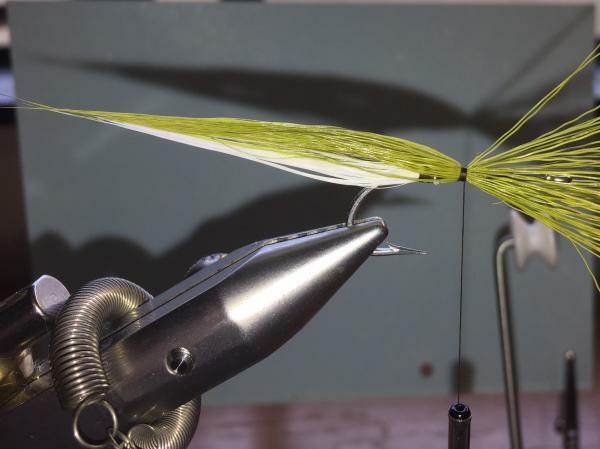 Tie in Bucktail 1.5 to 2 times the length of the hook shank, using the pinch wrap method. 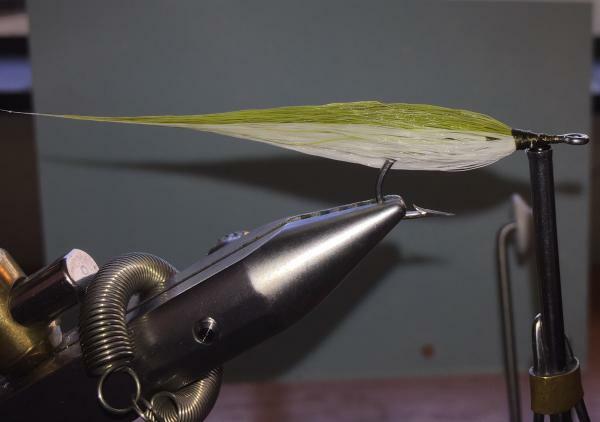 Cut redundant bucktail off at an angle. Tie natural colour bucktail on the top half of the fly and white bucktail on the bottom. with the white bucktail covering the bottom half of the hook shank. Secure first tuft of tied in bucktail with half hitch. 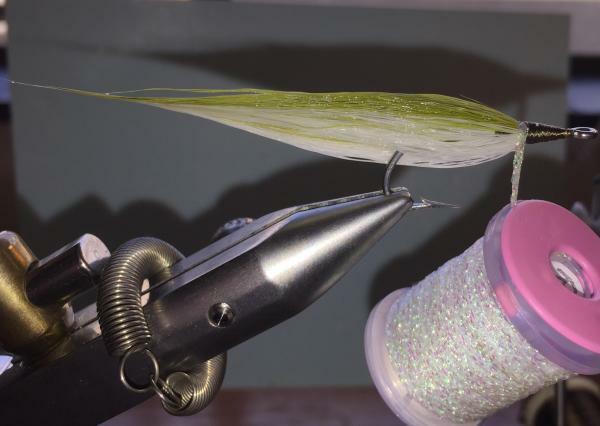 Use saliva to shape the bucktail fibre’s. 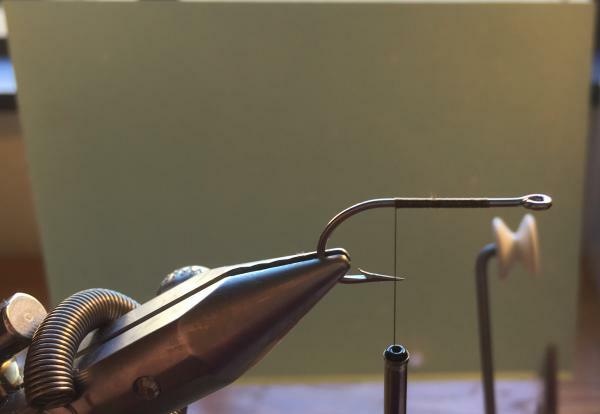 Repeat step 2 by tying the next tuft of bucktail in front of the first tuft. A bigger tuft of bucktail can be tied in covering the thread that was used to tie in the first tuft of bucktail. Optional – Tie in 4-6 strands of Crystal flash in mother of pearl or any other preferred colour. Next tuft of bucktail covers the crystal flash , but still allows for the occasional flash as the fly is retrieved. Optional – Tie in Crystal flash or Mylar braid/Sparkle braid up to the hook eye and tie off. Attach 4-5mm flat stick on eyes, preferably 2/3 up from the centre of the hook shank. If head cement of resin is used to build the head, use super glue to secure the eyes. UV Resin, place some resin on top of the hook shank between the two eyes and then curing it with the UV torch. Follow this up by placing resin at the bottom of the hook shank between the eyes. After eyes are secured, the rest of the head can be built up using the UV Resin. 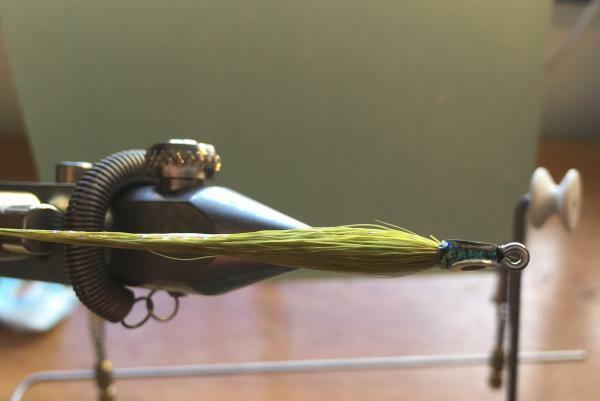 I cannot recall where I saw this pattern, but I have been tying this pattern for the last two years and have adapted the way I tie it, to create a sleeker look with a taper towards the tail. This is more a tying style than a specific pattern for me, different materials and colours can be used to replace the bucktail. 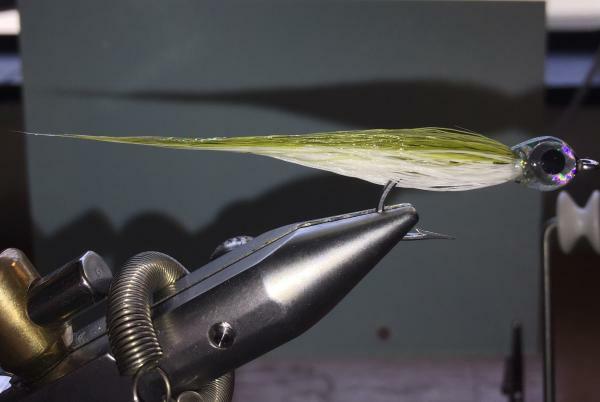 When using smaller (size 2) hooks to tie the fly, only 4 tuft’s (2 top and 2 bottom) of bucktail can be tied in to create a smaller profile baitfish. 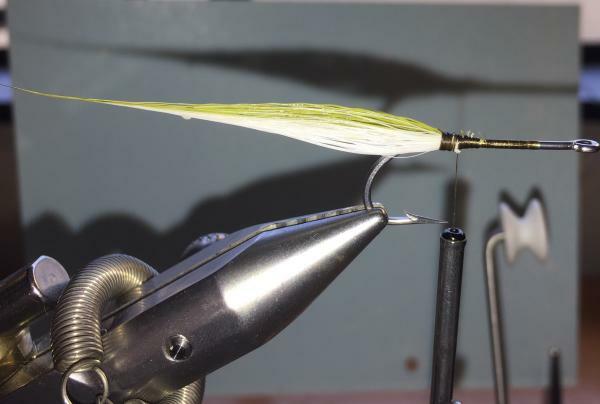 I use a saliva to shape the bucktail after tying in each tuft. I prefer to fish this pattern on an intermediate line, retrieving it with long slow strips. I normally switch over to this pattern after getting a couple of chases from garrick on surface patterns but not getting the hook up. The pattern is also effective in areas where small baitfish are forced off a flat or shallow channel into a deeper channel of the estuary as the tide drops.